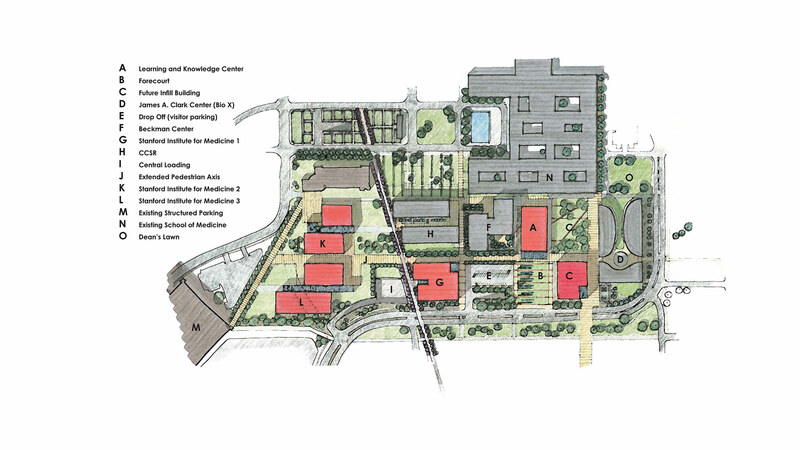 The Master Site Plan for the Stanford School of Medicine is a long term planning initiative that creates a new vision for the medical campus and provides for nearly 2 million square feet of future development over the next 2 decades. The plan looks holistically at the School of Medicine within the context of the larger campus in order to ensure that future development will increase integration of the medical campus with the neighboring precincts of the University. 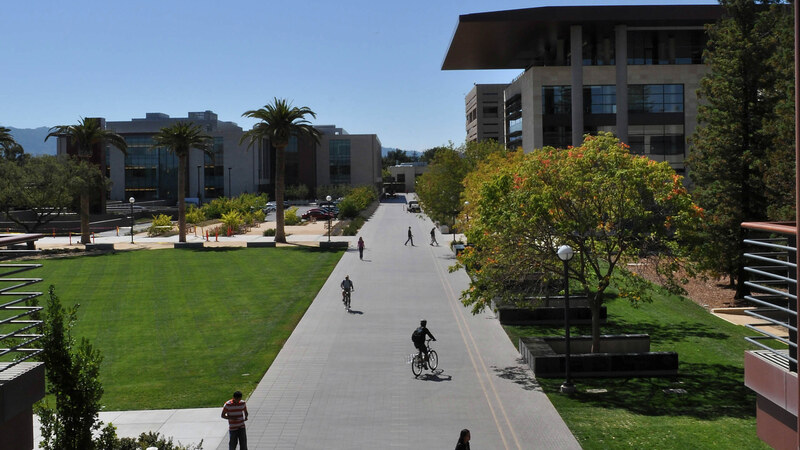 To achieve this, a strategy was developed that flipped the orientation of the School of Medicine so that it faces south onto Campus Drive and Serra Mall, a major cross-campus connector. 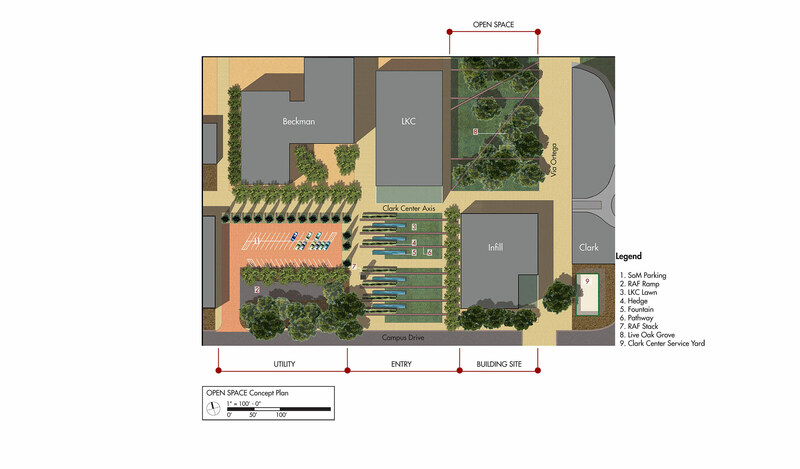 This new connection is defined by a signature open space and arrival court that is described by several significant new buildings. In all, six new buildings are planned. 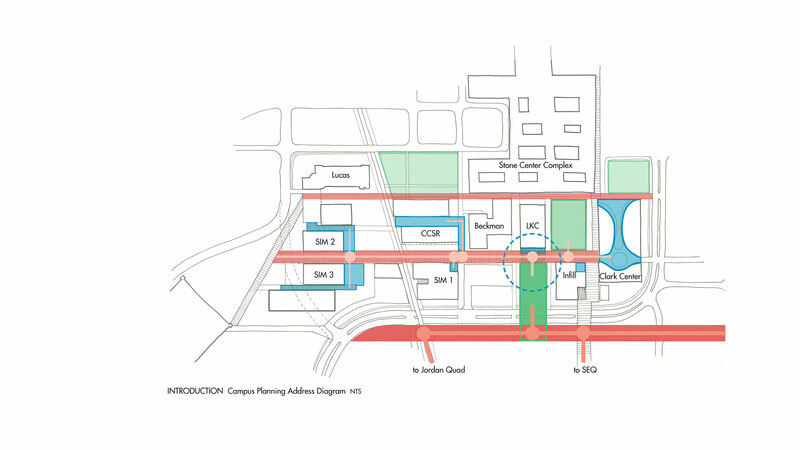 A circulation spine connects the existing and new buildings in a linear diagram that links to neighboring areas of campus and provides for future expansion to the west. 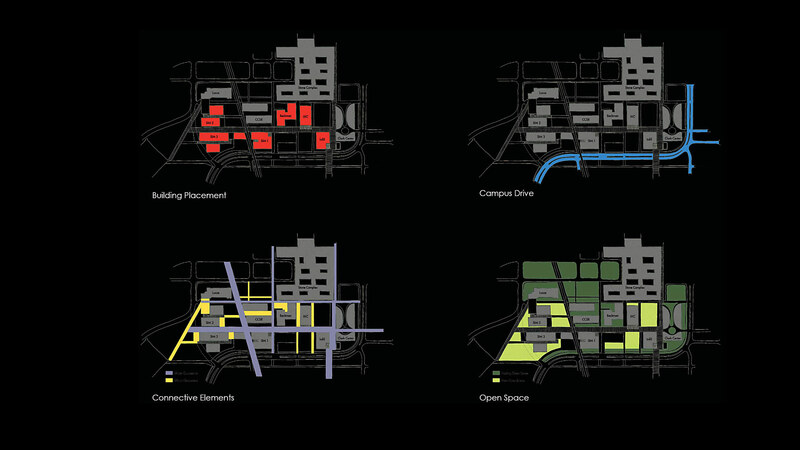 The plan also provides a comprehensive strategy for service and circulation for the entire School of Medicine campus. 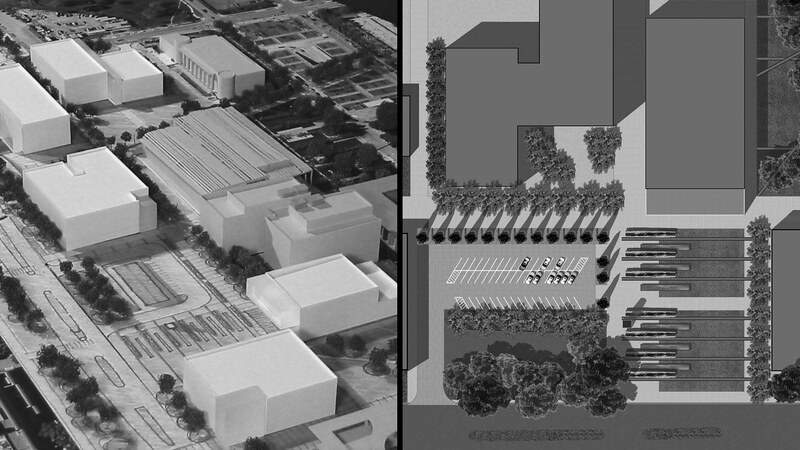 Previously, a mix of surface parking lots, pedestrian pathways, service docks and streets created hazardous conflicts and inappropriate adjacencies that reduced efficiency and the quality of the campus experience. The new plan proposes a zoned approach to circulation and service appropriate to this urban context. 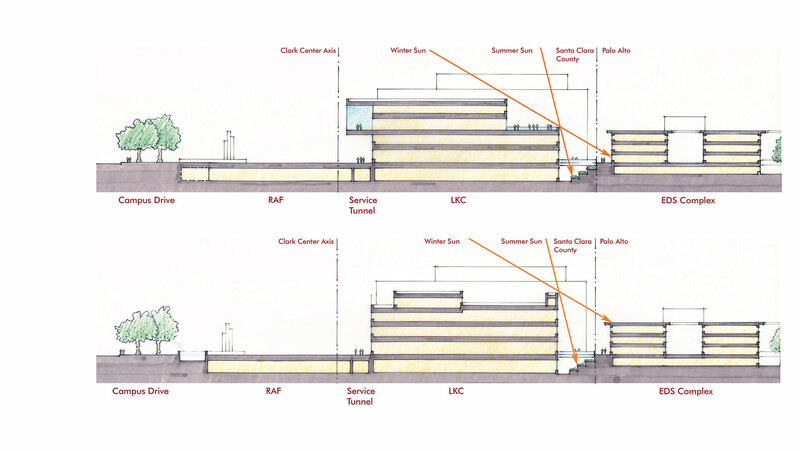 A centralized service dock was located to the west of the campus and an underground system of service tunnels and distribution points was planned, reducing at grade conflicts and improving pedestrian space and connections on campus. 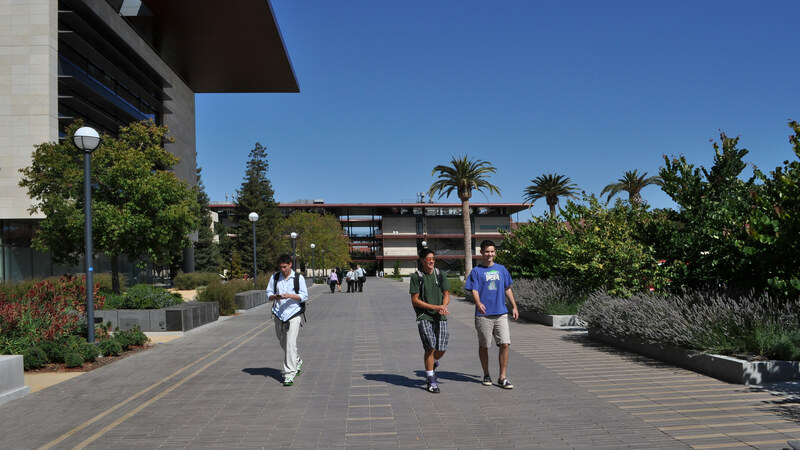 As planned, two of the six major buildings, the signature open space and several major infrastructure projects have subsequently been completed by other design and construction teams including Stanford’s new Li Ka Shing Center for Learning and Knowledge and the Stanford Institute for Medicine I.
Isaac Campbell was the Project Designer and Planner for the Stanford School of Medicine Master Site Plan while at Boora Architects.